Bryn introduced Pilates to Malta back in 2000 with UK based Body Control Pilates. Initially over for just 3 months, he is still here 13 years later A Sport Science graduate of Loughborough University he is currently in the 4th year, reading a Masters in Osteopathy at the London School of Osteopathy. 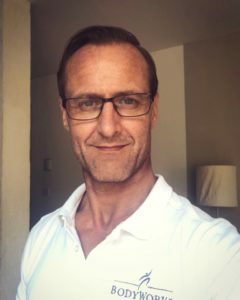 Renown for delivering brutal and creative classes Bryn is also highly experienced in helping rehabilitation from musculoskeletal and mechanical pain.